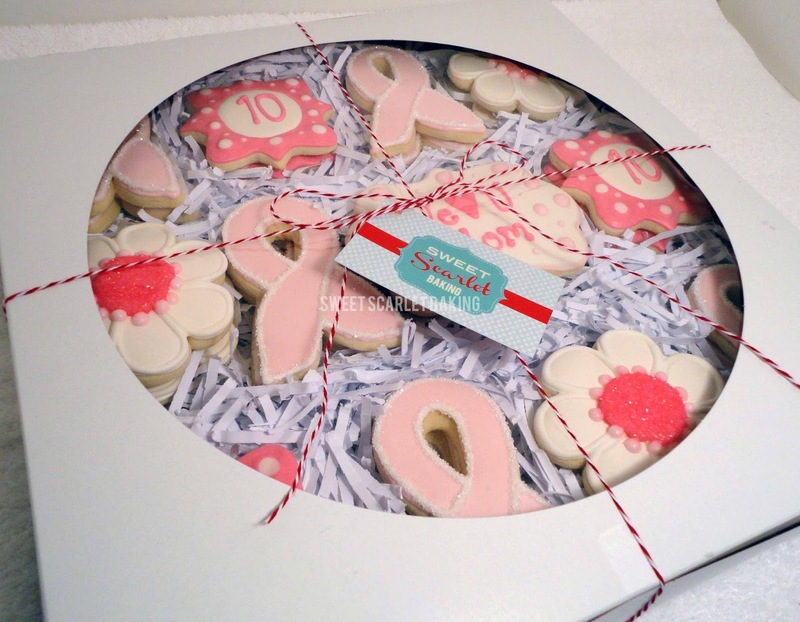 Today, St. Louis is hosting the Susan G. Komen Race for the Cure. My customer and her family are participating in the race and are celebrating something very special this year. 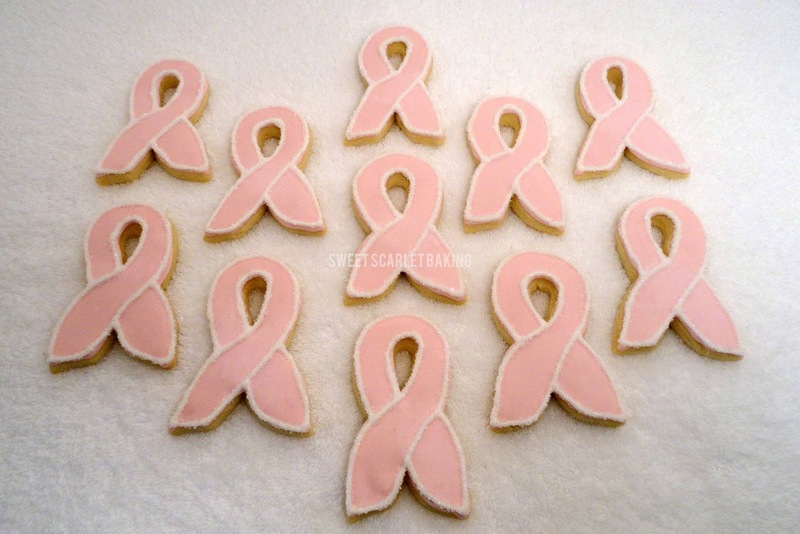 Her mother has been breast cancer free for 10 years! My customer asked me to create some decorated sugar cookies to commemorate the occasion. 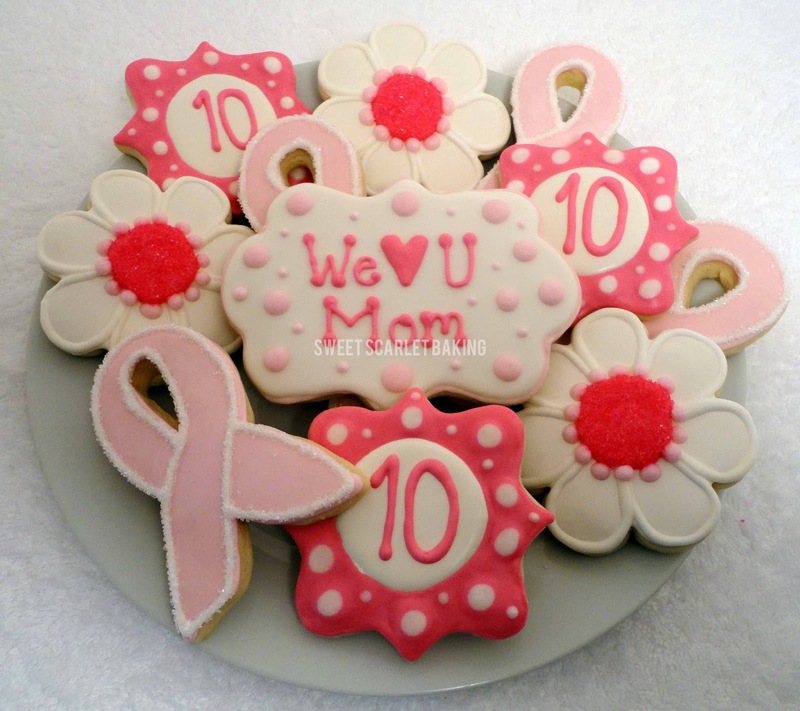 She knew that she wanted a cookie shaped like the pink ribbon and another cookie with the #10 on it. 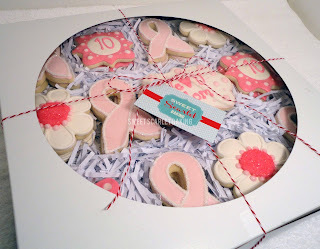 the ribbon, a plaque with the number 10 and a flower. 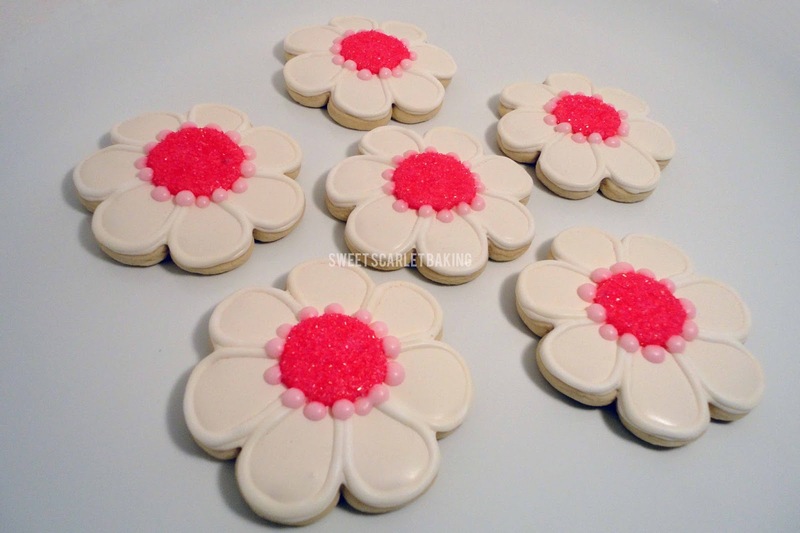 I added sanding sugar to the ribbon's edge and the center of the flower for sparkle and texture. 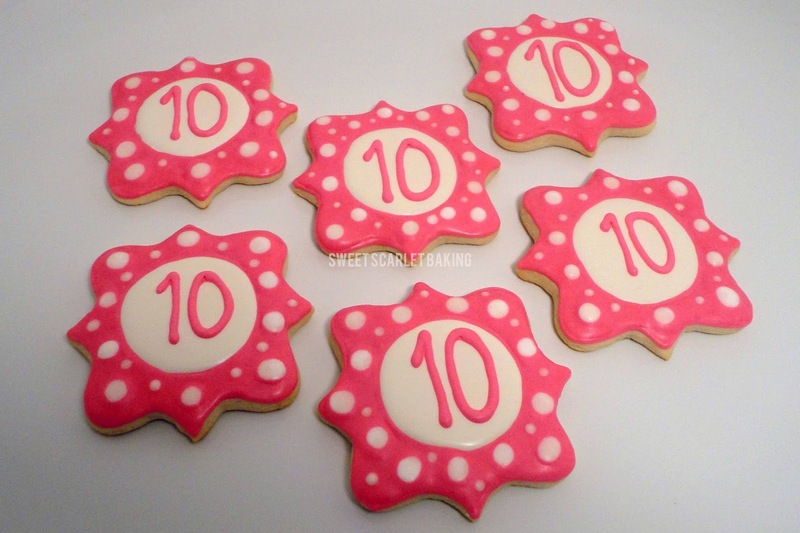 I'm crazy for polka dots! This plaque was inspired by this design from JJ Spencer. The plaque would be great for a birthday assortment, as well. Congratulations and Blessings for many more years to come!